Home » FAQ » How to choose circuit breaker & contactor for induction motor? For starters, the protection setting is completely different from the breaking capacity of the protection device, and these are different again from the rating of the control device (typically a contactor). If the variable frequency drive (motor and supply cabling) is protected by fuses, we normally assume that the fuses will have sufficient interruption capacity to act as a protection device in their own right, without any additional circuit breaker. 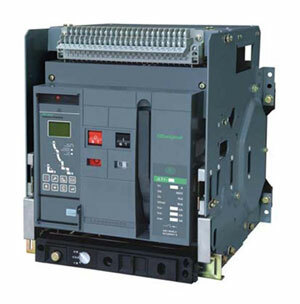 If the VFD is protected through a circuit breaker (mechanical contacts, controlled by some bi-metallic device, or an over-current relay), the contacts of this circuit breaker must be rated to withstand breaking of the highest current that can occur under operation of the VFD. This means, that it must typically be rated to interrupt the full short-circuit current that can occur on the busbars on the SUPPLY side of the breaker. The contact rating of this device may have to be many times the maximum possible current for the VFD itself. 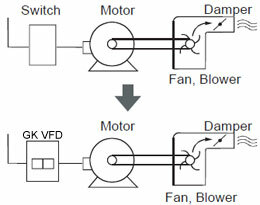 This value is not dependent on any rating of the VFD itself, except in the very few situations where it may have been installed at the motor end of the cable supplying the VFD. In this case, there must be some additional protection for the cable, at the supply point. 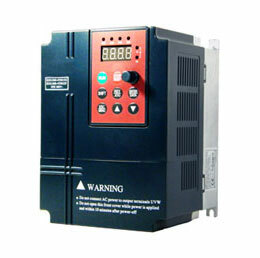 The protection device (which may be the device tripping the circuit breaker) must be rated to protect the whole VFD against electrical overloads, while at the same time be rated to allow the additional current during start of the motor. This is meant to prevent melt-down of the cable installation, and of the motor, so any fault does not cause fires, or other damage to adjacent installations. In case of fuses, the rating is often some slow-blow fuse, rated for around 2 to 3 times the nominal current of the VFD. 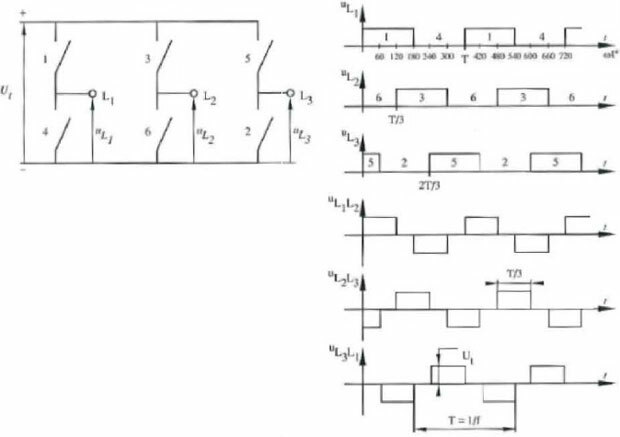 If it is some relay, or bi-metallic unit, it is likewise normally rated for around 1.2 to 1.5 times the nominal VFD current. The last element to consider will then be the control element, which can be a contactor or switch. This must be rated to close the VFD starting current, and interrupt a current slightly higher than the nominal VFD current. In order to determine these various ratings, you must consider the capacity of the supply to your installation, as well as any influence you may have from voltage drop along the VFD supply cable, both during start and during normal run of your VFD. Often you may have to do a few iterations before you get the most optimal solution.